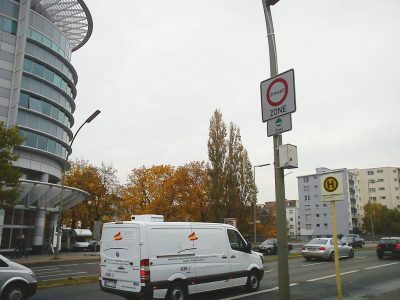 The Gelsenkirchen Administrative Court ordered a ban on diesel vehicles in the city of Essen. It will apply to a section of the motorway. The German Transport Minister criticizes this decision. The German organization for environmental protection (Die Deutsche Umwelthilfe, abbreviated DUH) has achieved another success. The Industrial Court in Gelsenkirchen decided last Thursday to introduce a ban on diesel cars in 18 out of 50 Essen districts. The „blue ecological zone” is also to include the section of the A40 motorway. It is a DUH win in another German city. The organization is fighting to maintain the standards of nitrogen oxides in the air, which have been in force in the EU since 2010. The court in Gelsenkirchen ordered the city authorities to ban the vehicles with diesel engines in two stages. Cars complying with the Euro 4 emission standard and lower will not be able to enter the new diesel free zone from July 1, 2019. From September 1, next year, only Euro 6 vehicles will be able to move on designated routes. The exception will be Kurt-Schumacher-Straße, where Euro 5 cars will not be allowed already from 1 July. Andreas Scheuer, the German Minister of Transport, criticizes the court’s decision to ban the A40 motorway as well. This solution is considered „disproportionate”. The head of the ministry also points out multi-billion funds for cities to improve air quality. In Scheuer’s opinion, such case could only be heard in Germany and results „from unbelievable prosperity”.